Melanoma Angel - Rachel's Story: Change is Good! - The need to shift the focus to a more informational and inspirational theme vice a sad and heartbreaking theme. - The need to make this more about her and how her story can save the lives of others by educating them. - The ability for those using Google and other search engines to find her blog, enabling us to help others. I really wanted to take any of the focus off of me, the author and her husband before she lost her battle to melanoma, and place it on where it needs to be - on her. I encourage those of you who have just found this blog to read it from the beginning (Nov/Dec 2009) and read it the entire way through to the end. I promise you, you will get something out of it. For those of you who are familiar with this blog, take the time to revisit some of the entries. I do from time to time; it provides me with inspiration and strength! 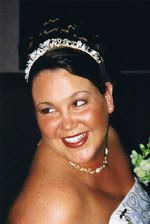 This past January, we passed three years since Rachel lost her battle with malignant melanoma. For some of us, it is still fresh in our minds and hearts. In the three years since her death, there have been some extremely important happenings in the areas applicable to malignant melanoma, tanning regulation, and cancer research. I will mention a few of these below. I hope you enjoy the changes and the new attitude "Team Rachel" will be bringing to the fight against melanoma! I will soon start adding information for this year's American Cancer Society's "Relay for Life" - Team Rachel to be held in mid-May! God bless!